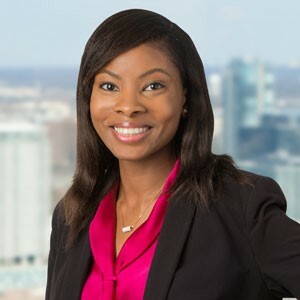 Ummi Lawan joined DeHay & Elliston, L.L.P. in September 2017 as an associate in the Dallas office. Her practice focuses on toxic tort and corporate defense. Ms. Lawan received her Bachelor of Laws from Bayero University in 2014. She then attended The Nigerian Law School where she graduated as a Barrister at Law. She then received her Master of Laws from Southern Methodist University School of Law. Before joining Dehay & Elliston, Ms. Lawan was a Judicial Intern for the Honorable Judge Craig Smith of the 192nd Judicial District Court.